This is a story with a lot of moving parts and all of the characters play important roles. I loved that the characters were all so interwoven. Bel is living in hell when she's younger. She is subjected to her dad's abuse and ultimate betrayal. She even has to live the rest of her life with reminders of her time living with him. Brody and Callum have been friends since they were in grade school. Their relationship is loving, hot and both know that there is someone missing. When Bel needs protecting again, Brody wants to be that person. However, he also knows that Callum will stop at nothing to help her either. The three of them are so incredible together. They have chemistry and heat between all three of them and know that in order for them to be lovers full time, they need to come together and figure out their relationship and how to rid Bel of her father. I really hope that there are more books in this story, as I think that there is a lot more story to tell for the other characters in this book. This is a short, hot, and intense novella. If you like your ménage to be a true trio, then you will enjoy how they heat up the sheets. It takes a while for them all to get on board with what had possibly seemed inevitable for the last ten years, but only when Bel is again in danger, do Brody and Callum step up to the plate. I did have to suspend belief a little for the mystery/crime element, and the ability to recover so quickly from serious injury, but in the interests of the story it was worth it! Another hot and steamy read from Ms. Lynne – an author who definitely seems to know just how three people can fit together! This was... interesting. There were certain parts of this story that I really enjoyed and others that felt a little odd. I love the romance between the three and watching them build their relationship together. However, I felt like we were just sort of thrown into the relationship between Brody and Callum. While I felt like we got to know Bel quite well, every single other character (including both our heroes) were just sort of side characters that we learned very little about, which to me meant we connected to very little to. However, I really felt the terror from Bel's past as it haunted her years later and the way she reacted to it was real, so that helped save the story even though it lacked depth in some areas. 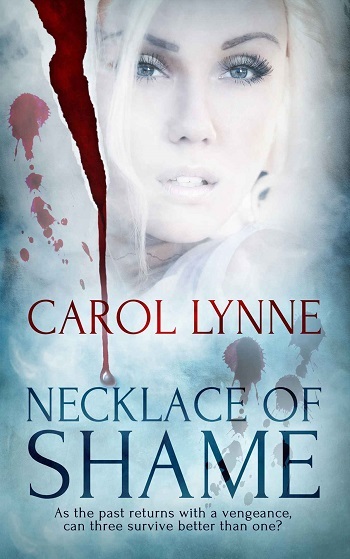 Reviewers on the Wicked Reads Review Team were provided a free copy of Necklace of Shame by Carol Lynne to read and review.